There was a point about halfway into It’s Kind of a Funny Story when I was confident the film was headed into four-star territory. The set-up in this movie is phenomenal in three ways: the way it establishes its conflict, the way it introduces its colorful cast of characters, and the way it establishes a lightweight yet moving tone. While the second half of the film is a bit derivative and a let-down, the overall effect of the film is a fulfilling and inspiring one. 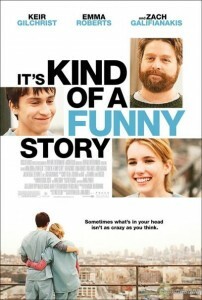 Sometimes the line between depression and happiness is razor thin, and Funny Story is about that line. Why is central character Craig (Keir Gilchrist) depressed? He has a loving family, he goes to a great school, he has friends, he has no particularly dark secrets. He’s just not very happy. He feels alone. And so he begs a doctor to let him into the mental ward of the hospital, North 3, after he has a suicidal dream. He wants an easy way out. As soon as he gets there, he witnesses just how scary “real” mental disorders are. The patients — ranging from a bed-ridden Egyptian man who Craig shares a room with, to chronically depressed father Bobby, to quirky wristcutter Noelle — terrify and confuse him at first. Central to Craig’s growth and ability to answer the questions he has about himself are Bobby and Noelle. Emma Roberts does a good job as Noelle, capturing a seductive balance of innocence and darkness. As you could probably guess from the posters, if not the casting decision alone, Noelle becomes something of a love interest for Craig, and they way they discover each other is adorable. It reminded me of a few of my favorite film romances, Before Sunrise and Garden State, in the earnest self-definition that it accompanies. 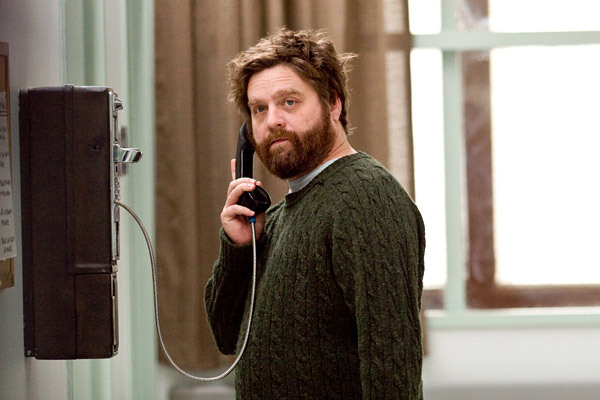 Meanwhile, Zach Galifianakis is astonishingly good as Bobby. He had me cracking up and on the verge of tears in the same scene. His presence is still a little bit uncomfortable, a la The Hangover. 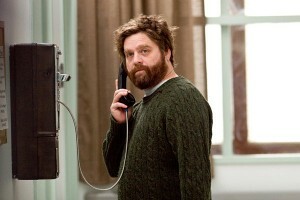 But where his star-making role primarily used Galifianakis as a comic crutch, he has a real character in Funny Story. Heartbreaking and moving, Galifiankis’s Oscar-worthy work alone is worth the price of admission. The supporting cast does a solid job, though I came to question a few of the casting decisions. Particularly, I wasn’t a fan of the choice for Nia, Craig’s longtime crush. Zoe Kravitz never gives off a “Miss Perfect” vibe to match the characterization in the script. The film never dawdles too long on Craig’s obsession with Nia, nor any conflict. It moves so briskly through the drama that I almost wish there was another 30 or 45 minutes to flesh it out. But the rapid pace has its perks: I dug the lightweight tone for most of the film. It would’ve been easily to screw up the tone of this film, but, for the most part, the the underlying giddiness never detracts from the seriousness of the topic. Funny Story also briskly intercuts dream sequences and abstract representations of Craig’s mental state. Think 500 Days of Summer. There are also lots of flashbacks with narration and other tools that often get dismissed as contrivances but are a key part of this film’s experience. The tone’s few trouble spots come towards the end. First, the film dips into some really tired romantic comedy tropes. I loved the blooming romance between Noelle and Craig for about two thirds of the film, until the generic third-act boy-loses-girl twist sends it into a nosedive from which it never fully recovers. Even more troublesome is the questionable conclusion for the rest of the ward. 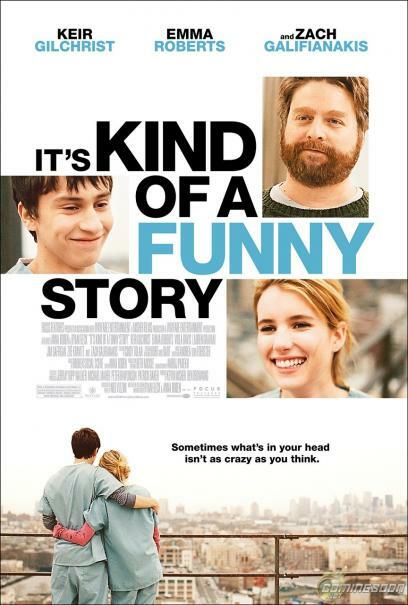 After the film convincingly depicts the different ends of the spectrum of mental disorder spectrum, the conclusion of this film almost trivializes some of the more serious mental diseases. There are people — such as this film’s Muqtada — who need more than a little joy and momentum to be cured. Some mental patients will always need serious therapy and medicine to cope with major issues. I did not detect an acknowledgment of that truth in Funny Story‘s ending. At the same time, dwelling on the patients with serious mental illnesses would’ve bogged down the film from its central theme, which bubbles with passion and rings of truth: We need to live our lives in a way that make us happy. The presentation of this theme connected with me on a very personal level. I really empathized with Craig’s impulses, along with many of the particulars of his situation: While I’ve never been close to suicidal, I have seen a therapist for many of the same reasons Craig begs the doctor to check him into North 3. There will be people who hate Funny Story for showcasing a white, upper-middle-class teenager without any serious problems who mopes around. For me, that was the main strength of the film: Anyone, anywhere, even someone as lucky and well off as me, can suffer from an unfulfilled life. But fulfillment doesn’t just magically happen: We have to earn it.